We’ve written here about actors who’ve changed their names once arriving in Hollywood before, but I’m not sure we’ve covered a name quite as spectacular as Orison Whipple Hungerford, Jr. Well, here we are. Better known by his stage name of Ty Hardin, the now 85-year-old Mr. Hungerford amassed a lengthy resume working in TV and film from the late 50s all the way to the 90s. In between films, he found time to marry a respectable eight times, most recently in 2007, and had seven children (so far). Fun fact, his (fantastic) middle name of Whipple comes from his great-grandfather William Whipple, one of the original signers of the Declaration of Independence. Orison grew up in Houston, Texas, and was reportedly extremely hyperactive. His grandmother gave him the nickname Ty, because he was “as active as a Texan typhoon”. On the same note, my grandmother nicknamed me Tusk as a child, because I was quieter than a Tuskaloosa Sunday. Ty Hardin, acting completely normal, unaware of the presence of cameras. You know, for the ladies. In college, Orison played football under scary sounding coach Bear Bryant. He was eventually able to dig himself out from under him and promptly made his way to California. Following a standard American career progression, he first worked as an electrical engineer in Santa Monica before becoming an actor in films such as I Married a Monster From Outer Space and The Space Children. He was known at this stage as Ty Hungerford, before his agent Henry Willson had him change it to Ty Hardin. Willson, coincidentally also came up with the movie star names of Rock Hudson, Dack Rambo, and Tab Hunter. You could say he had a knack for awesome names. Soon, Hardin was spotted on set by John Wayne who recommended him to Warner Brothers. His big break came in the WB western TV show Cheyenne after he replaced the star Clint Walker, who had walked off the show mid-season. Viewers loved Hardin so much the network gave him his own show the next year, the hit Bronco. At the end of his TV contract he left to travel the world and work all over, as Bronco was a worldwide hit and made him in demand everywhere. He appeared in films in Italy, Britain and eventually Australia, and had to turn down the lead in the 1960’s Batman series due to an overseas film commitment. 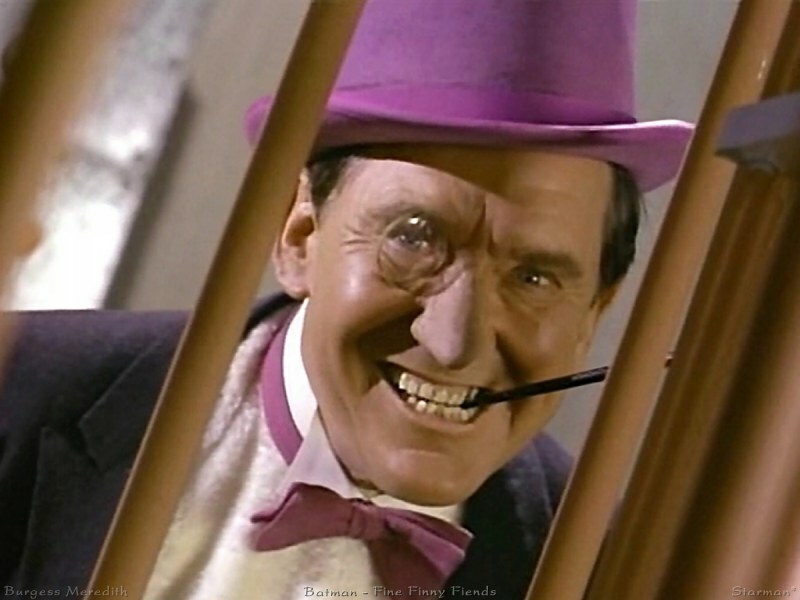 So we missed out on Orison Whipple Hungerford Jr.”POW”ing Burgess Meredith. Somehow this man went on to coach Rocky. As a very young child I had the nickname “Toge” which was short for Tojo the leader of Japan during WWII, the reason being that I was small, had short cropped hair and went around screaming my demands in some unintelligible language. That is certainly the best story of this ilk I have ever heard. Have you heard any other stories of this ilk before?!? I think this is one-of-a-kind! One of an ilk, kinda. Haha, you’re so right! It’s awesome that you caught that… I’m usually the one that catches crossed figures of speech! Great to hear from you again Bumba! It’s been a while, but I’m sure that my busy med student schedule is a big part of that! wait! i thought mr. whipple was the toilet paper guy! what is this world coming to?! I’m told by Mr. Internet that Mr. Whipple, the toilet paper guy was born in 1964. This would make our Whipple the Original Whipple, and the Toilet Mr. Whipple the copycat. What a world! Copycat Whipples! This is one reason I love the BoFN on Mondays!! There’s no way that Mr. Whipple the Toilet Paper Guy is younger than me. I throw a rolled Charmin on that one, Arto. As for Ty Hardin, well, he made the most of that worldwide fame. He worked on location with in the land of real penguins, it seems. He didn’t need no stinkin’ Penguin. He didn’t need no stinkin’ Penguin… is that a reference that’s over my head? It seems like it might be! Ahhh… it all makes sense to me now! I only know Burgess Meredith as “Mickey”. It’s hard for me to recognize him in anything else! Back in the olden days, on the TV shot “Batman,” he played the Penguin. When I was a little kid. Get that, King Dave? Imagine! My first thought was the same as Beth’s–the toilet paper guy–especially since I just came home from buying a 12-pack of tissue. I’ve heard the name Bear Bryant as he was a coach at A&M, where my husband went. Not way back THEN, though. And did you know Sam Houston University’s mascot is the Bearkats? I always thought that was strange. Well, judging from the photo, Orison looks nothing like Orson Wells and more like Tyrone Power, who shared his fake name. Say, Tusk, do you think after 8 marriages, the problem may be HIM? Although he did marry beauty queens, and they are high-maintenance. And as for Dack Rambo, I hadn’t heard that name in 30 yrs. Think he died of AIDS back in the 90s. But there’s Ty Hardin going strong at 85. Burgess Meredith nearly made it to 90!! You know, I’m not one to judge on the eight marriages thing, but perhaps he could have benefited from better selection skills. Then again, maybe Ty was the original YOLO guy and just went with it whenever he felt like it was right. We don’t have enough actors getting cool movie names these days. Chris Pratt or Paul Walker just are too normal. We need more Tor Gunners or something. At least there’s still Vin Diesel. And, as you correctly pointed out, a cool name will clearly get you a good chance of living longer. Unless you’re Dack Rambo. Or Rock Hudson. Or James Dean. Hmmm….maybe my theory needs some work. You picked three men with a variable in common that can lend itself to living fast and dying young and I shall leave it at that. George Burns made it to 100, maybe bc he’s really Nathan Birnbaum. That’s not that the most fantastic name, though. And Cary Grant made it to 82, being born an Archibald Leach. Is Vin Diesel his real name?? He was born Mark Sinclair Vincent apparently. I like Vin Diesel better. A proper action hero should always have a bit of a scent of kerosene about them and diesel is close enough. Yes, Cary Grant, there’s a movie star name. Kirk Douglas is still kicking also. Maybe it’s that one syllable like Vin and Kirk and Ty that just seeps testosterone? Like, let’s cut to the chase; I don’t have time for two syllables. Or Whip. I bet they called him Whip. Or Whippersnapper, that would have been good too. Kerbey is totally right… I think I saw something about how male politicians also have a much higher likelihood of having one-syllable first names. The ones that don’t, manage to find a nickname, like Ted or Thad or Kit or something like that. Hmm… maybe we can work on it this week before Friday…??? That’s weird… the Univ of Cincinnati has the Bearcats (with a c) also. And in the Canadian Football League there’s the Hamilton Tigercats! This world is a strange one! Sounds like a totally reasonable word! Tusk is a great nickname. If it was used in my household, somehow I think it might have migrated to “tisk, tisk, tisk” since quiet never really followed. Ever hear Rodney Dangerfield’s bit about purchasing a name? OK Rodney tells how an agent sold him a new name. Agent says: Unless you have a good name….